Were you taught that rhyme as a child? I was. Here's the reality I found out as an adult. It's a lie told to me and thousands of other children, and perhaps it's still being told today. Words can lift you up and make you feel as if you're soaring, and words can crush you as low as you've ever been. Words have tremendous power. 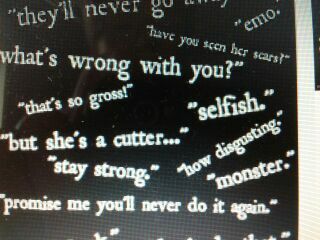 Not only the words others may tell us, but especially the words we tell ourselves. We say things to ourselves that we would never think of saying to someone else. Research shows that approximately 75% of what we tell ourselves can be negative. "I could never do that." It's too hard for someone like me." "I never get anything right." I could go on and on, but I think you get the point. Is it any wonder we often feel worthless? Yet we continue to demean ourselves to the point that we believe our perceived limitations, we embrace them, and we live up to them. Often we even argue for these limitions. Yet we know and believe almost nothing about our limitless potential. What if you told yourself how marvelous you really are instead? What if you convinced yourself that you could accomplish anything you set out to do? What if "I could never do that" was changed to "I can do whatever I'm motivated to do." How about changing "It's too hard for someone like me" to "I happily accept the challenge." "I never get anything right" might be rephrased as "If this doesn't work, I'll try something else." Imagine how much you could achieve with that mindset. Pay attention to how you speak to yourself, and I guarantee you will begin to feel better about who you are and what you can do with your life. You are the person in charge of your thoughts, and you are the only person who can change them. Here is an easy strategy to practice for the next 30 days. If you faithfully do this, I guarantee results. imagine a bright red Stop Sign in front of you.